This week's Top Ten Tuesday post is about the ten Bookish Things I Have Quit. For example, there might be ten book series that you've abandoned, or authors that you don't read anymore, or even reading habits that you've kicked. That's what this list is all about. I try to live by this motto on a day to day basis, reminding myself that I only have this one life to live, so I shouldn't waste it by doing things that make me unhappy. I should never allow myself to feel stuck in a job or a relationship that I don't enjoy. And, I definitely shouldn't read books that I don't enjoy. 100 pages in and it's still putting you to sleep? Toss it. Is the main character's love interest sexist or abusive or controlling? Toss it. Ain't nobody got time for that! What Bookish Things Have You Quit? 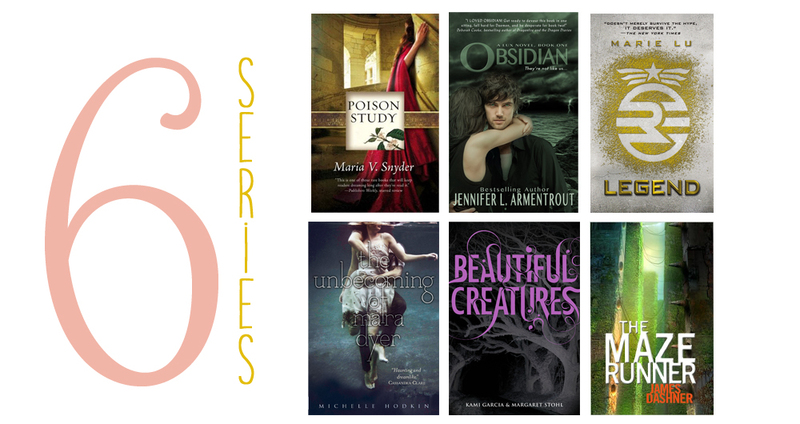 Have you stopped reading any of the series or authors on my list? What tropes are you tired of seeing? Do people shame you for the books you read? I hate Insta-love...I just don't understand why it's in so many books. How can I fangirl over a romance that happened in 5 seconds and now the characters are willing to die for one another? Not going to happen. I'm also not a fan Nicholas Sparks..he's one of the rare cases where I prefer the movie adaptations over the books. Hi, Brittany! Yeah, insta-love is such a crazy, unrealistic concept and I just can't deal with it anymore. Also, I agree about Nicholas Sparks' movies. SO much better than the books. I love The Last Song, Dear John, and The Notebook. I don't know what it is, though. All of his books are different but SO similar. Like, you always know what to expect from him. And, there's no fun in that. Thanks for commenting! I'm not at all interested in continuing the Beautiful Creatures books either. Not sold yet on Obsidian - the first was ok at first, but I don't know if I care enough to keep going. I'm 100% with you on the two tropes and the author. Hello, Lauren! I've heard that Obsidian gets better, but I just didn't like the love interest. The story reminded me too much of Twilight (which I loved when I was a young, naive girl but now realize was very problematic in many ways). I didn't like the love interest. So, I tossed it. And, Beautiful Creatures was just...bad. I even watched the movie, and that was bad, too. Sorry not sorry. Thanks for commenting! Thanks, Mariah. I'm lucky that no one in my family really reads, so they don't really judge me for what I'm reading. But other people will say things like "Isn't that a kids book?" or "Those books all look the same." It's so annoying. But, I don't care anymore. I'm trying to care less about what people think in all aspects of my life, honestly. Thanks! Down with insta-love! Thanks, Chrissi! I can relate to those things you DNF and series you couldn't make yourself read on. Nicolas Sparks I have him on my quit list too.It was enough form after reading his Message in Bottle. Yeah, I am really over his books. Thanks for commenting, Silvy! New word for me: trope. I like it. Thank you. Some tropes are a nope! Hahaaa. Thanks, Deb! I loved most of the series you are quitting. I guess I should read the rest of them because our tastes are very different, which could possibly mean I would enjoy those books ! Hahaha. Maybe you should. To each his own! But, does that mean that you hate the books that I love? Hmmmm.... Thanks for commenting! I hate the love triangles too. Enough already with the love triangles! I can actually take or leave the insta-love, depending on how it is done, but I was a sucker for Romeo and Juliet back in high school, so I've always had a fondness for "meant to be" couples. Now, if they're not special in some way and they're suddenly fawning all over each other, then I have a harder time with it. I twisted the topic around today and made my list about things I want to start doing. You can find my TTT here. Happy reading! Thanks, Kim! I love Romeo & Juliet, it's a great play and one of my favorites from Shakespeare. But, the characters (specifically Romeo) are just so naive. I can do love triangles if they are well-written and not used just as a plot device. I look forward to reading your TTT! 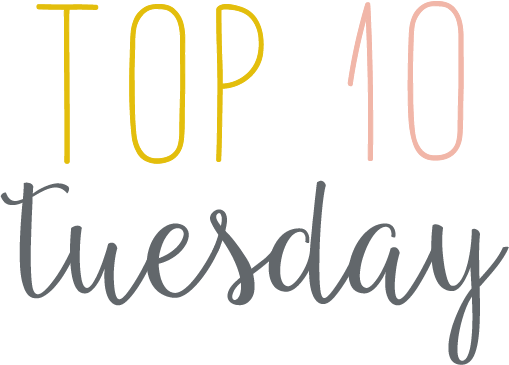 One of the items on my TTT this week was that I needed to quit being afraid of browsing the YA section. I devoured a lot of YA one year and, despite finding some really good books in the genre, I got so tired of seeing certain tropes over and over (such as love triangles) that I pretty much started leaving the genre alone. That's something that I need to get over since I might be missing out on some great YA speculative fiction. Some REALLY great YA speculative fiction! I'm really backwards, because when I was younger I liked to read adult books. But now as an adult, I find myself always reaching for YA. There are a lot of overused tropes. But there is a lot of great writing, too. If the writing is done well--if the characters are complex and the world-building is lush and full of detail--then I don't mind a trope or two. Thanks, Zed! Legend and The Maze Runner are two that I couldn't get into either. Ug, instalove and unnecessary love triangles. Thanks a bunch for visiting Dreaming Under the Same Moon. I appreciate it. I have been noticing lately that insta-love is just so annoying! It irritated me before but I just glanced over it then. I also agree with no caring what people think, especially when it comes to my reading. Just wondering, is there a specific reason you quit the Legend series? Hi, Brandi! I can't remember the specific reason why I stopped reading the Legend series. I only read the first book, but I recall feeling that the story was just lacking something. (It doesn't help that I didn't write a review on Goodreads. But for some reason, I gave it 4 stars? Huh. That's weird.) I think that I just couldn't connect with the characters. I thought the story was interesting; I mean, I don't remember the details, but I DO remember that ending. I liked Day, but June was meh. Overall, it just didn't WOW me. Thanks for your question! Awesome list! A lot of my friends judge me for reading SF and fantasy instead of "real literature" so I'm with you on being proud of what you read and not caring what other people think! Personally, I think that there's no such thing as "real literature". All literature serves the same purpose -- to teach us something and expand our minds, to tell us something about the world, to give us an escape. The genre doesn't matter. Thanks, Kritika! 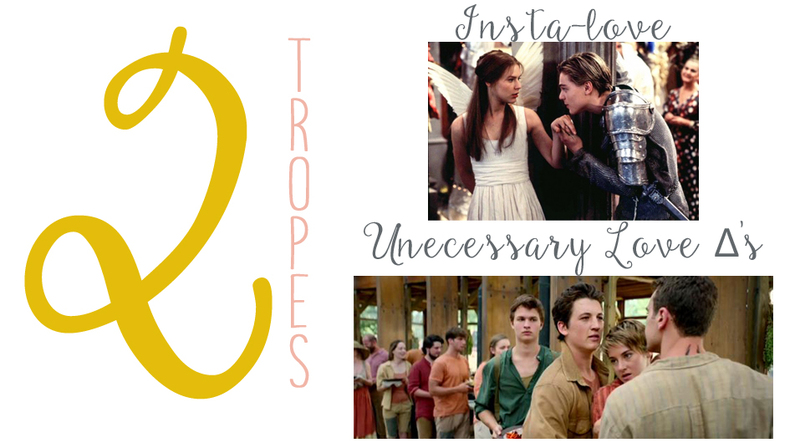 Ugh, I hate insta-love and unnecessary love triangles in books! Aw I love this list, and the way you set it up! I think quitting The Maze Runner was a good call. And Beautiful Creatures. Yawn. I cannot STAND insta-love. It is the worst, it should never be a thing. Ever. I can handle a love triangle, but only if it is done well. And that picture of Nicholas Sparks is making me chuckle for some reason. Like he is standing there like "fine, if you have to quit, I guess I understand" bwhahaha. Fabulous choices! Now I can't look at that picture of Nicholas and NOT laugh. Hahaha! Also, I agree about the love triangles. Some are really well written (the best love triangle I've read comes from Cassandra Clare's Infernal Devices). Thanks so much, Shannon! I got the first and second book of The Caster Chronicles at the same time from the library, so I felt like I had to pick up the second novel, even though I didn't particularly enjoy Beautiful Creatures, either. Worst.Decision.Ever. The Unbecoming of Mara Dyer was so not for me, which annoyed me so much because I felt like EVERYONE but me loved it. Insta-love and unnecessary love triangles are horrible, though I can stand both if they are not too bad. Great list and I absolutely love the way you set it all up! Thanks so much, Veronika! I understand what you mean about The Caster Chronicles. Although I've quit The Maze Runner, I have The Death Cure sitting on my bookshelf. Such a waste of money. I feel like I HVAE to pick it up eventually since I spent money on it, but I really don't have any inclination to. But, yeah, I always feel like the odd kid out when I love a book everyone hates or hate a book everyone loves buttttt.... Sorry not sorry. Hahaha. Thanks for commenting!